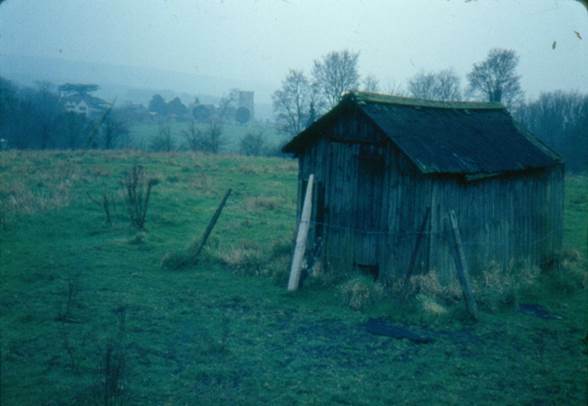 When we moved to our present house, back in 1976, there was a rather derelict hen house already there. It looks beyond it, but we renovated that hut, moved it to a more convenient location and had it in use for some years but one of those hefty storms of the 1980s blew it all over the place and it was way beyond repair. Our hens had to move elsewhere until we got a replacement. I have preserved – or perhaps just kept – one small part of it. And that’s the maker’s plate. 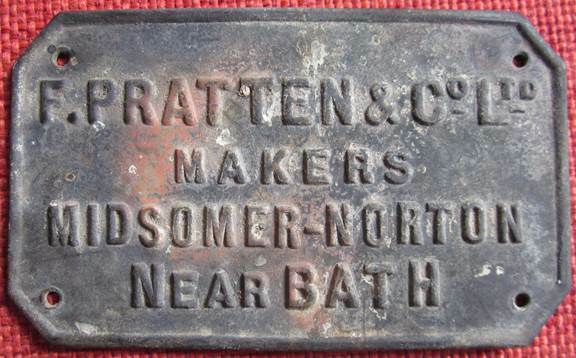 It was made by F Pratten and Co of Midsomer Norton. For me, in my working life as a teacher, the name ‘Pratten’ became a synonym for ‘mobile classroom’. I do not know if they were all made by this Somerset firm or whether some early ones were and the maker’s name stuck. Sadly, the business closed down in the 1990s after some 80 or so years of making such buildings. 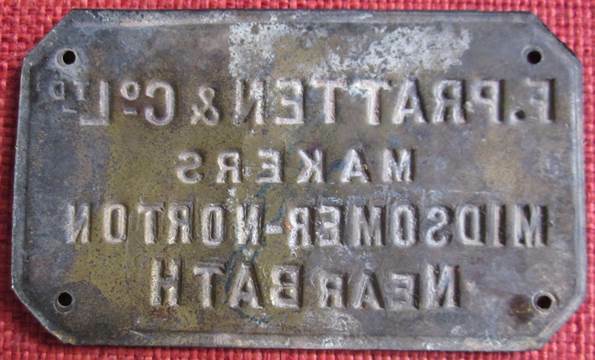 By the way, the maker’s plate is just a piece of pressed sheet metal. The other side, not normally seen because it was fixed to the hen house is an indented mirror image of the front. You might see an optical illusion here. I know this is the back and the letters are indented. But sometimes they very definitely look to be raised. I’ve mirror imaged the reverse of this plate and I struggle to see that as it really is.